Software is compatible with Windows 10, 8, 7, Vista and below version of (32-bit and 64-bit). Recover and Repair corrupt, formatted, deleted vmdk file. 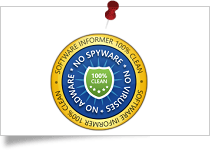 SysTools VMware VMDK File Recovery Software got the 4 stars rating from Cnet for its efficient working. 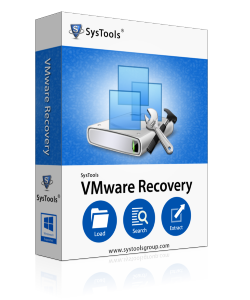 SysTools VMware Repair tool is the recommended software among various others as it has the best performance for corrupt, formatted and deleted data recovery from virtual drive. VMware data Recovery tool helps recover records from multiple VMDK files at a time. You can directly browse the Virtual machine folder path. Also, if required, you can search for multiple virtual machines in your system drive and scan them altogether. It recovers all the data, files or folders present in a VMDK file. Search in All Drive: Complete system drives will be searched. Search in Specific drive: Search in the selective drive of your machine. Once the complete VMDK files get scanned & loaded, software will list all its items. Each file can be previewed with its attributes like: Name, created date, modified date and size in bytes. The software only allows you to preview text files like: .xml, .log, .dir etc. and images in the format of; .jpg, .png, .gif, etc. VMware Recovery software allows you to search for any specific file within VMDK files using its extension. Also, you can filter the items by applying options like: file creation date, modified date, and last access date. You can set a date range to filter out all the items residing within that specific date range. Extract Data: With this option, you can extract and save the file at any desirable location on your machine. Extract as Original: This option lets you restore the recovered virtual machine data in the selected partition. The extraction and saving of VMware file can be done on selective basis. If you want you can save the selective folders and data from the recovered VMDK files. The Check / Uncheck option allows extracting the desirable data only. Within VMDK files & folders data remains arranged in a proper structure. Even after extraction, the software ensures to keep its folder structure maintained. There will be no change done to the existing folder hierarchy and software will help you retain the data property as well. After the data recovery and extraction of VMDK files, software generates an immediate report of the same. This report consists of VM number, Source folder and destination folder. Also, if required, you can save the extraction report in a CSV format file; which can be used for future reference. Demo version of VMware Recovery software generate preview of recovered data from the loaded and selected VMDK file. How to Recover Data from Corrupt VMDK File Using this Software? The software is capable to repair corrupt and damaged vmdk file. Follow the steps mentioned below and recover lost data from virtual drive partition. Download and Install VMware Recovery Software. Scan Damaged Virtual Drive Partition. Preview Deleted, Formatted, Corrupted Data. Select Required File or Folder. Extract Scanned Files and Save at any Location. Can I use this software on a Windows 8 PC? Yes, VMware Recovery tool is fully compatible with all versions of Windows including: 97, 2000, XP, VISTA, 7 as well as Windows 10. Is it possible to repair VMDK files with this software? Yes, the software only recovers corrupted data from VMDK files. Further, you can save it into its original format at a desired location or its original path. VMDK recovery can be carried out in bulk mode also. You simply need to browse the folder in which VMDK files are stored. All VMDK files will be loaded automatically in the left panel of the software window. Can I search for VMDK files within Virtual Machines using this tool? Yes, the software lets users to search for multiple Virtual Machines installed on host machine. For this the software has to be installed on VM Server machine. Do I need to have any supportive application to run this software? No, VMware Recovery is a standalone tool and does not require any supportive application to be operated. Is there a way to ensure successful working of the software license? We recommend our users to first use the software Demo Version before purchasing its full version. Demo version will give the preview of data items within your VMDK file and all the data you will be getting in preview can be extracted using full version of the tool. Will the software help me recover images stored in a VMDK file? Yes, VMware Recovery software recovers all data folders, images as well as text files and lets you store them in their original location or the location of your choice. 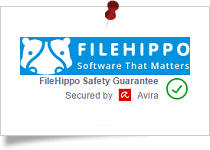 How can I purchase the software License? You can purchase the full software in the license of your choice directly from our Corporate Website via online payment or by contacting our Sales Team for any purchase or any other sales related queries. "The capability of processing unlimited VMDK files using this VMware Recovery software was the best of all other facilities featured. Meanwhile, it was such a relief to get the files recovered and all the data extracted from it without making any efforts. Heartiest thanks for a wonderful creation." "I would like to utilize the great opportunity to thank developers of VMware Recovery software for coming up with a tool that justifies the true meaning of the word "software". It is a utility that not only renders guaranteed successful solution but is also effortless to use at the same time." "In today’s digital marketing field, there are bundle of applications available for VMware recovery. But, none of them are up to the mark for me. No product work in a perfect way that I want. When I came across this product it repaired my damaged VMDK file and fixed all errors in a systematic manner as per I expected. It comprises of all the features that a technician requires to repair corrupt VMDK file. I am thoroughly impressed with the way this product works and wants to thank team for providing such a brilliant recovery tool."